It was morning in Golfo Dulce, a tropical fjord in Costa’s Rica’s Osa Peninsula. The slight roar of the engine and the gentle waves were strangely soothing. The sun slowly rose above the green hills that surrounded us, and the water glistened under its rays. We were a short distance from the coast, past the undulating cliffs, when we found ourselves in the middle of a pod of Dolphins. The boat suddenly stopped as everyone rose to their feet in delight. 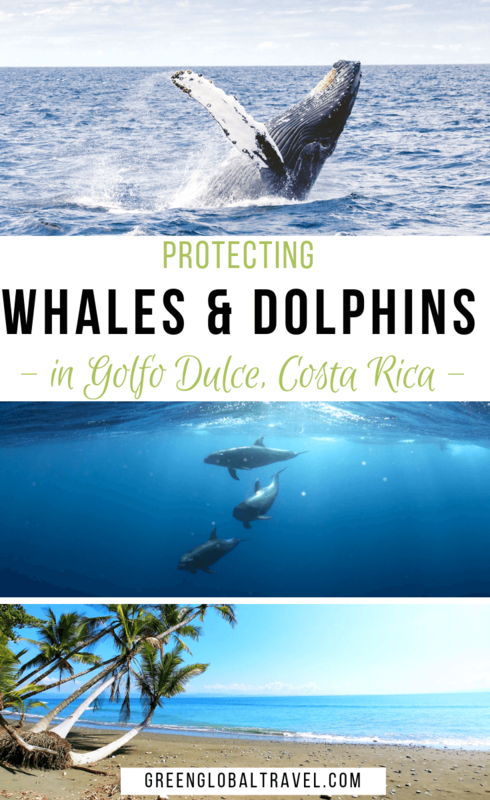 When I learned about an opportunity to participate in a research project protecting Costa Rica’s Dolphins and Whales with conservation NGO Earthwatch, I jumped at the chance. A 3-hour flight from New York to San Jose, followed by a quick puddle jumper to Puerto Jimenez, delivered me to a slice of heaven I had been waiting to see for more than a decade. Soaring over the sensational coastline, my heart felt full and happy. But that was just the beginning of the adventure ahead of me. 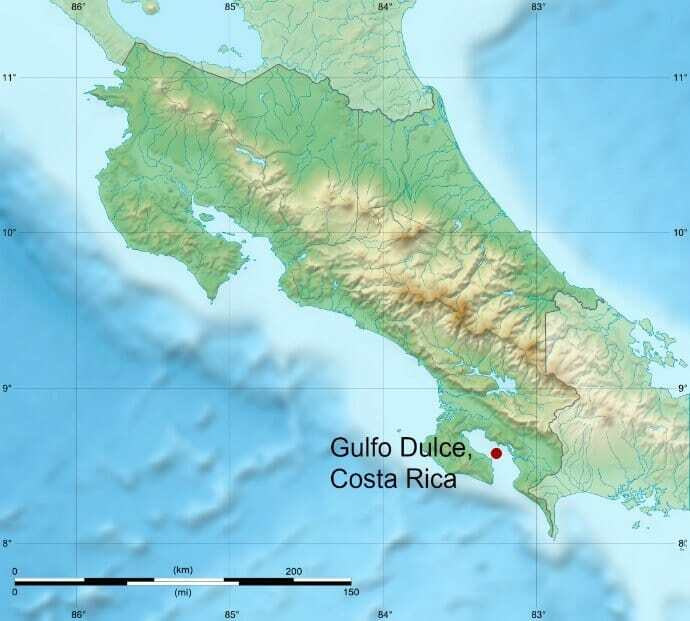 Golfo Dulce (“sweet gulf”), a Pacific inlet in southern Costa Rica, is known for its unspoiled beauty and diverse marine life. 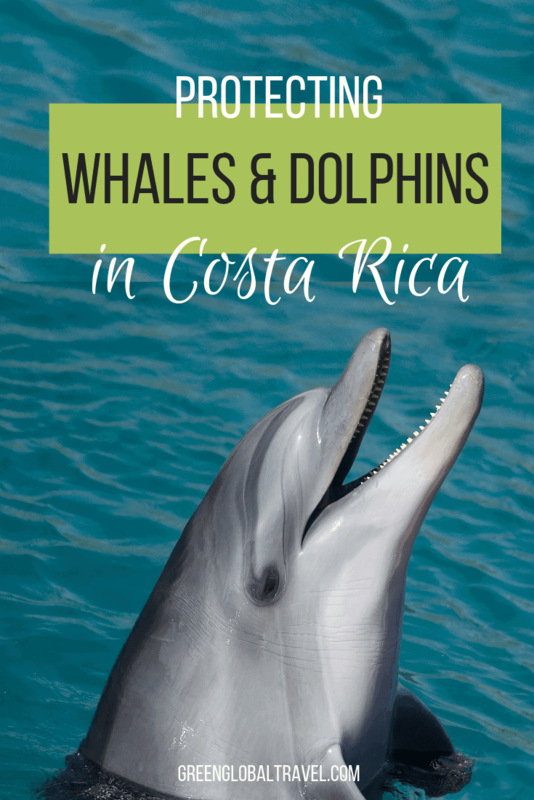 It’s located between Corcovado National Park and Costa Rica’s mainland, encircled by rainforests, coastal villages, and secluded beaches. This is one of only three tropical fjord-like estuaries in the world, spanning 31 miles long and six to nine miles wide, with a depth of 705 feet. After settling in at the El Chontal Eco Lodge in Rincon, I met with several fellow nature lovers. We were thrilled to find out that the daily boat tours would depart right from the lodge’s dock. I was part of a team of 10 people, including a local researcher from CEIC (Centro De Investigación De Cetáceos) and a lead scientist from Earthwatch. The 9-day trip’s primary purpose was to observe and collect data on the cetacean (Dolphin and Whale) population. 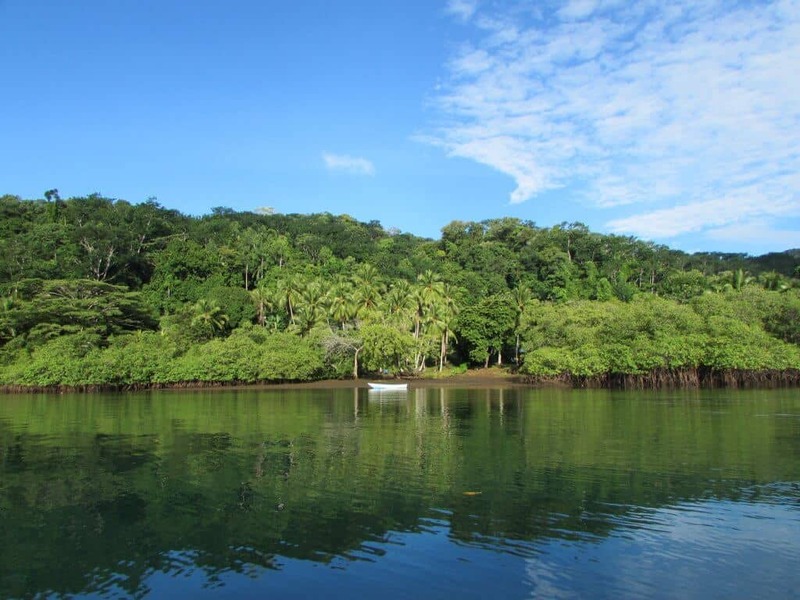 Golfo Dulce is a confined body of water surrounded on three sides by pristine wilderness. So studying its marine life is conducive for volunteers like me, who want to contribute to conservation research. 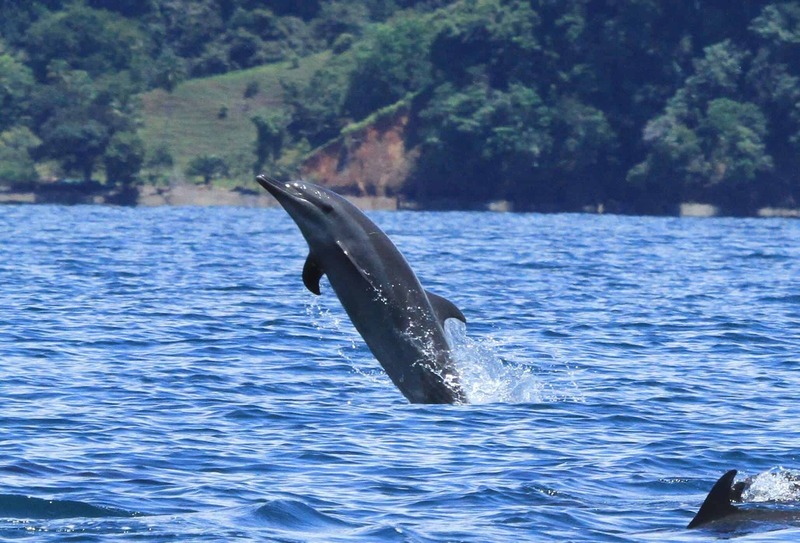 The more marine scientists know, the better equipped they are to convince local authorities to divert boat paths and establish rules for safeguarding Costa Rica’s precious marine life. Every morning we woke up early to board the small motor boat and set out into the magical world of Golfo Dulce. Usually we were blessed with sightings of pods of Spotted and Bottlenose Dolphins within less than half an hour. The water swelled with their svelte bodies gently moving towards their prey. Birds hovered above, hoping to get in on the action. Dozens of Dolphins swam fast and far: We kept our distance, following their course. The experience was made all the more rewarding for knowing that there were babies in the mix, which meant the population is thriving! 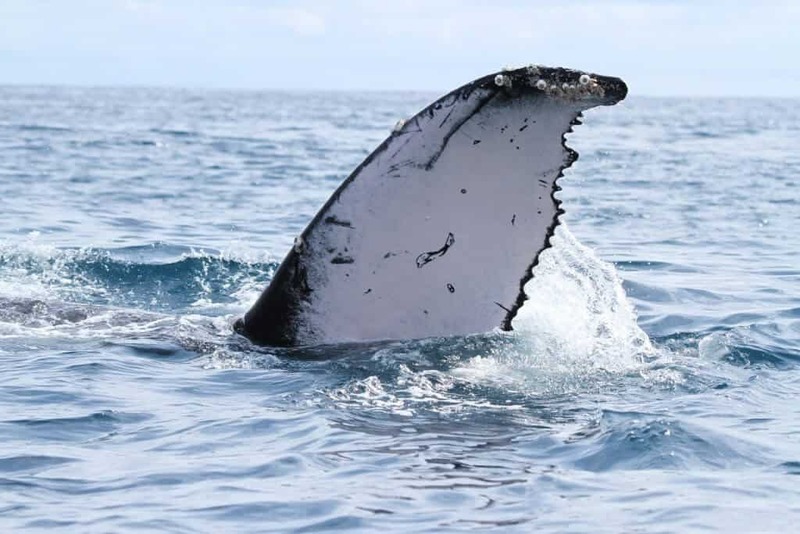 One morning the Earthwatch scientist spotted the blow of a Humpback Whale in the distance. So we excitedly made our way towards the gentle giant. Witnessing this magnificent being gently maneuvering her body to teach her calf how to breathe was an amazing sight! 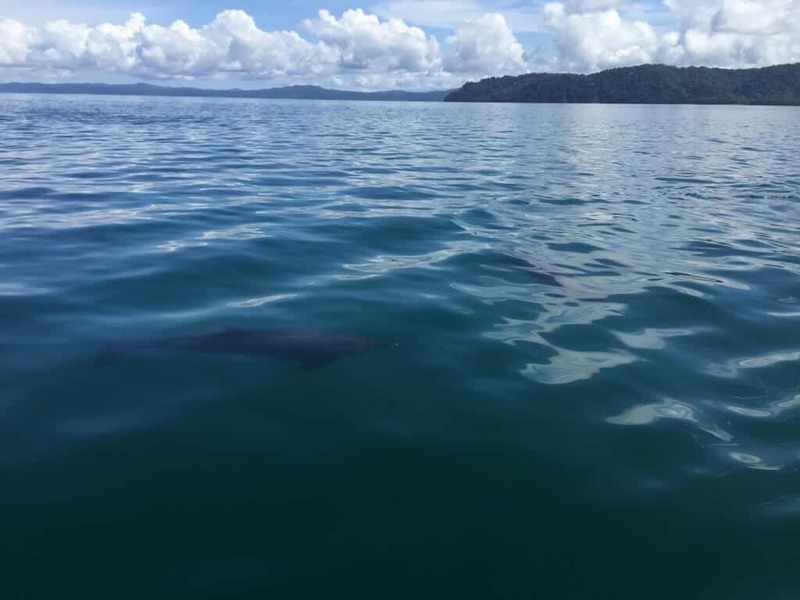 There, in the middle of Golfo Dulce, was this caring mother who swam all the way from the Southern Hemisphere. She was there to give birth and care for her young, like countless other females had done before. It was a life-affirming experience I’ll cherish forever. No matter how much NatGeo Wild or Planet Earth you watch, there’s nothing like being in the middle of a playful pod of Dolphins or hearing the Humpback Whale’s mating call. We were relieved to see that there were only a few tourist boats in the water during our morning excursions. But we learned in our meetings with the Earthwatch scientist that this ethereal piece of wilderness is facing threats to its existence. A recent proposal hoped to convert one Golfo Dulce resort, Crocodile Bay, into a 5-star hotel with hundreds of units. Developers wanted to expand the marina at the mouth of the gulf to accommodate sport fishing and Dolphin/Whale-watching tours, with a slip for 350 boats. This expansion has the potential to harm marine life, which already suffers from pollution, excessive fishing, and the effects of climate change. Currently, the photographic data collected by Earthwatch has shown a fungal infection called LLD (Lacaziosis Like Disease) that’s slowly spreading among the Dolphins. There have also been sightings of Dolphins with broken fins from boat collisions. With the development of (and around) the marina, the increase in boat traffic and pollution could adversely affect marine life. Dolphins may choose to live elsewhere, and Whales might decide to swim past the gulf in search of quieter breeding grounds. 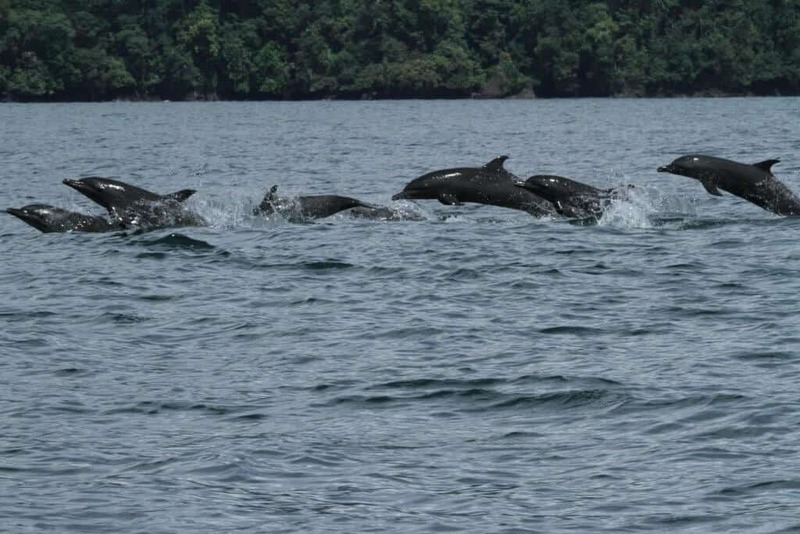 Given the gravity of the situation, locals and scientists rallied together to protect Golfo Dulce’s marine life. They urged government officials to reconsider plans to turn this paradise into a profit-generating machine. In late 2016 their efforts paid off. The resort was significantly downsized to 50 units, with a small improvement on the marina. The entire development project has been delayed for another two years. The new hotel, Botánika Osa Peninsula, will be marketed under Hilton’s Curio Collection. It will focus on nature, offering Sea Turtle rescue and Whale-watching tours. The community rejoiced after winning the fight against mass tourism development. 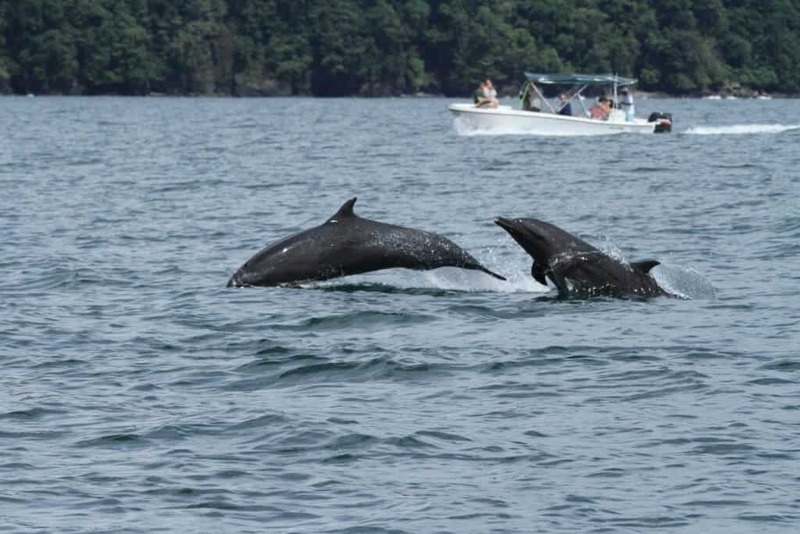 Experiencing the enchanting Golfo Dulce first-hand and observing Dolphins and Whales in their natural habitat gave me an even greater appreciation for the unspoiled beauty of nature. This critical marine habitat will remain relatively pristine for the foreseeable future thanks to the important work of scientists, locals, and responsible travelers alike. My trip was a great example of how ecotourism can help by offering sustainable eco-tours, staying in local lodges, and ensuring that the money we spend stays local.